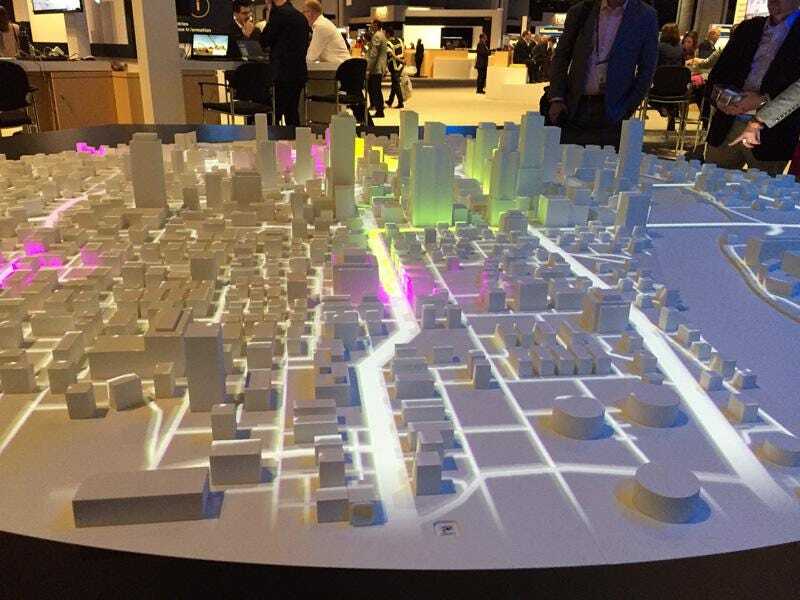 When I first spotted the luminescent white Smart Cities model on the show floor at the recent SAPPHIRE NOW & ASUG Conference, I couldn’t get near enough to take a photo given the crush of experts around it from not only city planning, but also renewable energy providers, chemical companies, manufacturing suppliers and others. Dante Ricci, Public Sector Industry Marketing at SAP, stepped away from the throng to talk about how cities are ideal proving grounds for innovations that have a cascading effect across industries like automotive, public transportation, utilities, insurance, engineering and construction. The smart city aligns to SAP’s purpose to help world run better and improve people’s lives,” said Ricci. “There’s no place better than cities to make the biggest impact, as they use most of the natural resources in the world and the population there is increasing. Cities are competitive in nature; they like to experiment and try new innovations faster than other industries, always looking for economic advantage and citizen protection. Workers can conduct onsite inspections using mobile enterprise events management software for maintenance,” said Ricci. “We can extend that scenario to machine learning using geo-tagged images from social media and CCTV. This could be much more effective than even satellite images. We can use predictive analytics to understand what’s going on with the weather in the next few days. Responders who realize the lower half of the city will need to be evacuated, can use machine learning to match patient transfers to the most appropriate hospitals.